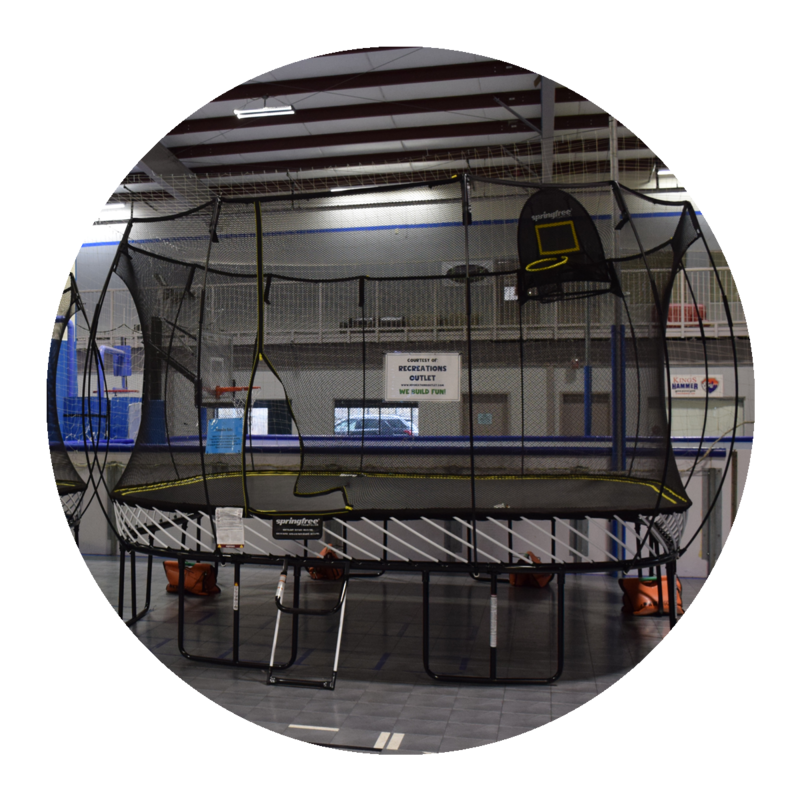 T&C's has 2 Spring Free Trampolines that are a fun activity for anyone at any age and are a great workout too! These Spring Free Trampolines are the world's safest trampolines that also include basketball hoops for added fun. They are available anytime that the health club is open and they are FREE for members. Please remember when you come to play that shoes need to be taken off and socks must be worn with only 2 jumpers at a time in each trampoline.